The cup and handle pattern is one of the oldest chart patterns you will find in technical analysis. In my experience, it's also one of the more reliable chart patterns, as it takes quite some time for the formation to setup. 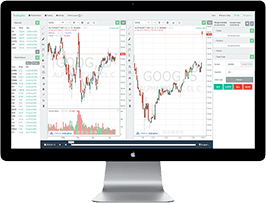 In this article, I will cover 3 strategies for how to trade cup and handle patterns that you will not find anywhere else on the web. The cup and handle is one of the easiest chart patterns to identify, because we all can recognize a cup. Some of us may not be rocket scientists; however, everyone I know has used a cup in their lifetime. 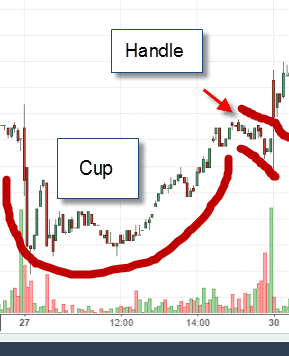 Rather than trying to define what a cup and handle pattern is in words, it's best to use a picture to illustrate the pattern. As you can see from the above example, the cup is really a rounding of price action near a series of lows. There is a left, base and right side of the cup. One of the key characteristics is volume will be heavy on the left, light in the middle and pick up again on the right side of the cup. When you layer the volume on top of the price action, they both can look like two Us on the chart. Any who, as the price approaches the creek or top of resistance, the stock will have a minor pullback, thus creating the handle. Once this pullback or handle is complete, we are off to the races. One point of clarification, you should not worry yourself trying to come up with exact measurements for your cup and handle pattern. This will only lead to a search for a needle in a haystack, which is a waste of time. 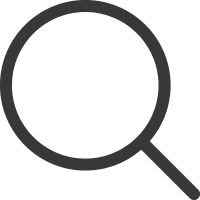 Now that we have covered a short introduction to the cup and handle pattern, let's walk through a few day trading strategies that can separate you from the crowd. When you are day trading cup and handle patterns, you must realize that not all handles are created equally. The funny thing about the formation is that while the handle is the smallest portion of the pattern, it is actually the most important. 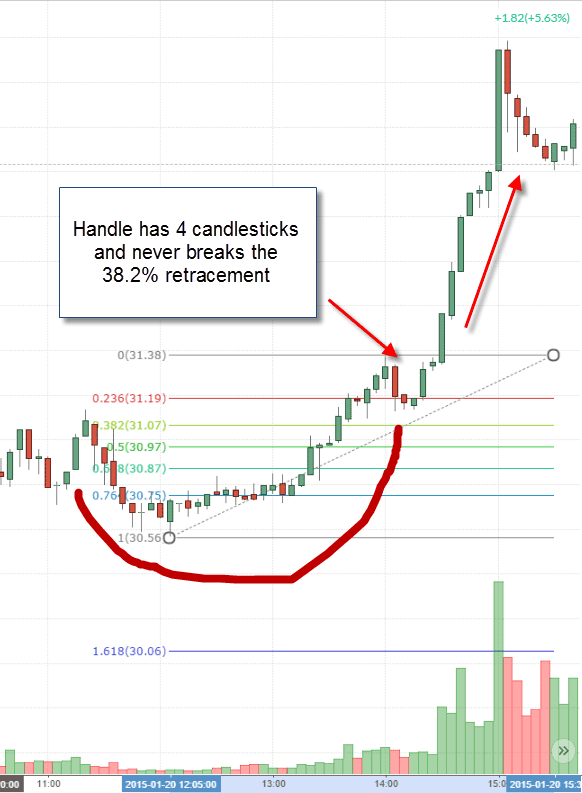 On a 5-minute time frame, the handle is made up of at least 4 candlesticks but no more than 10. The reason I like to time box the handle, is because I want to avoid the scenario of being trapped in a sideways conundrum. The candles of the handle should have small bodies and in a very tight range. The breakout should produce significant volume and price expansion. In this example, the stock CREE had a nice run up at the end of the day. One thing to call out is that the breakout after a strong handle will primarily occur during two times: (1) in the morning after a strong gap up and (2) in the late afternoon. The reasoning behind this explanation is that the breakout move requires strong volume after the necessary quiet period to form both the cup and the handle. You can't find a more quite time to trade the markets than late afternoon when everyone is off at lunch or have finished trading for the day. What if I told you that taking the depth of the cup and adding it to the breakout value is the wrong way to set your price target. Feels a little wrong saying it aloud doesn't it? Every book and blog you can find on the web will say to just sell once this one-to-one ratio is achieved. This approach may have worked during a time when there were few people performing technical analysis, but nowadays the market won't let your stock make its nice little run to your preferred price point. What if there was another way to set your target, which can account for the specific pattern you are trading? To simply apply the same price target logic to every stock formation in the market sounds a bit off, when you think about it. The market is never that cut and dry. What I am proposing, is that instead of using the depth of the cup as your target, how about using trendlines? See, that wasn't too radical of an idea. The last time I checked, simply drawing a line up in the air means absolutely squat. Don't believe me; look at the chart below. 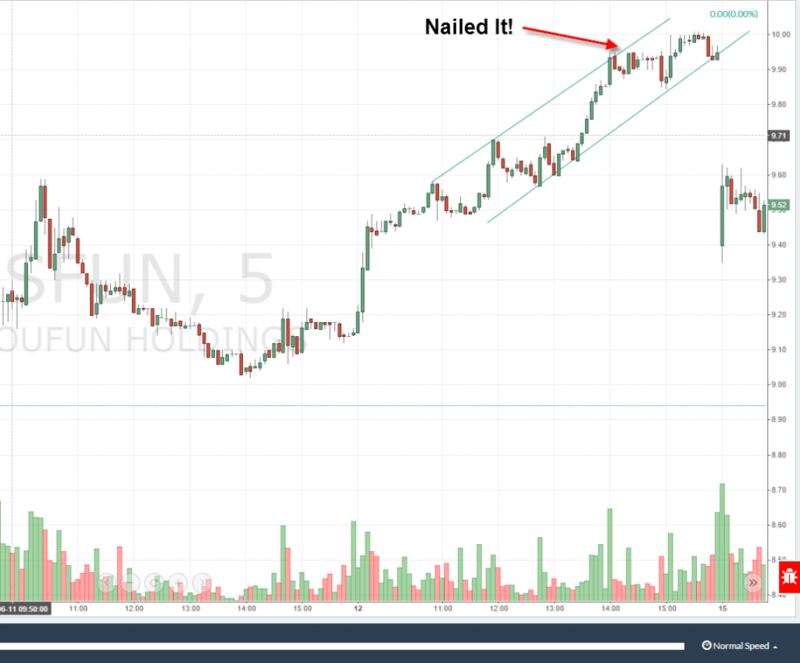 In this example, the stock came pretty close to hitting the target, but fell a bit short. 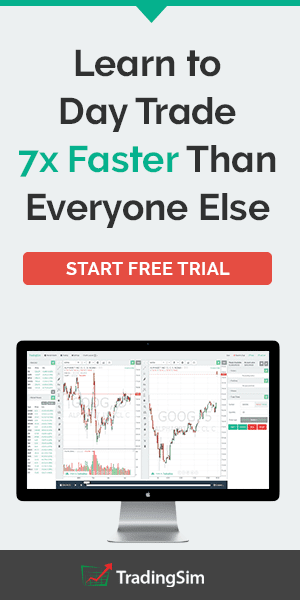 So, do you hold until the target is reached or do you sell out now that it appears the stock is starting to roll a bit and just take the profits? The sad thing is that the pattern was sound, but the profit target literally looks like you are recreating shelves in my kitchen. It just doesn't make sense to me to set your targets this way. Now, let's revisit the same chart using the logic of selling the supply or upper resistance line on the chart. Call me crazy, but actually using the technicals right in front of my face makes far more sense than applying some universal profit target system. What do you think? 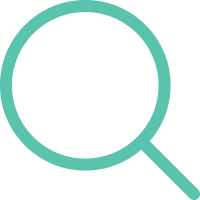 Does the one-to-one profit target still make sense to you? The Ichimoku is a pretty complex indicator and defining the indicator is not in scope for this article. To read more on the background of the Ichimoku indicator, please check out this article from Ichimoku Strategy. For the purposes of this article, I want to introduce you to the idea of buying the cup and handle breakout when the candlestick closes above the Ichimoku cloud. For those unfamiliar with the indicator, if the stock is able to close above the cloud convincingly, this is additional confirmation of the strength of the trend. If the stock is unable to close above the cloud, then the bears are in control and longs should step aside. Let's walk through a few chart examples to illustrate the trading strategy. So far, in this article, we have only highlighted when the cup and handle produced stellar results. Well guess what folks, sometimes it's not always sunny outside. 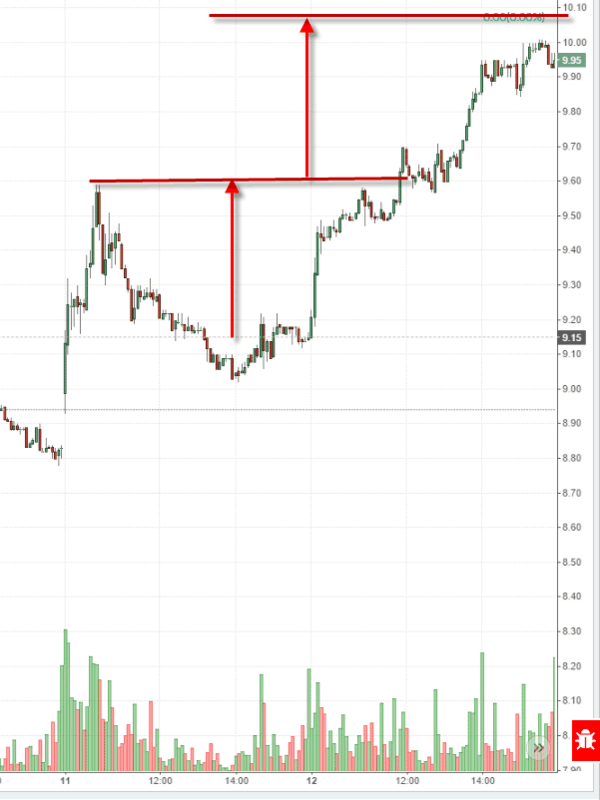 In the above chart example, you can see how the stock made a nice round cup and had a strong handle, before continuing higher. The one thing to point out is that on the breakout, the stock used a lot of gas just to work its way through the cloud. By the time the stock closed outside of the Ichimoku cloud, it was apparent that the stock's tank was empty. Sure enough, the stock rolled over and retreated back inside of the cloud. Now, let's take a look at a stock that illustrates the action we want to see cutting through the Ichimoku cloud. In this example, the stock RHI had a nice bottom that formed into a deep cup. 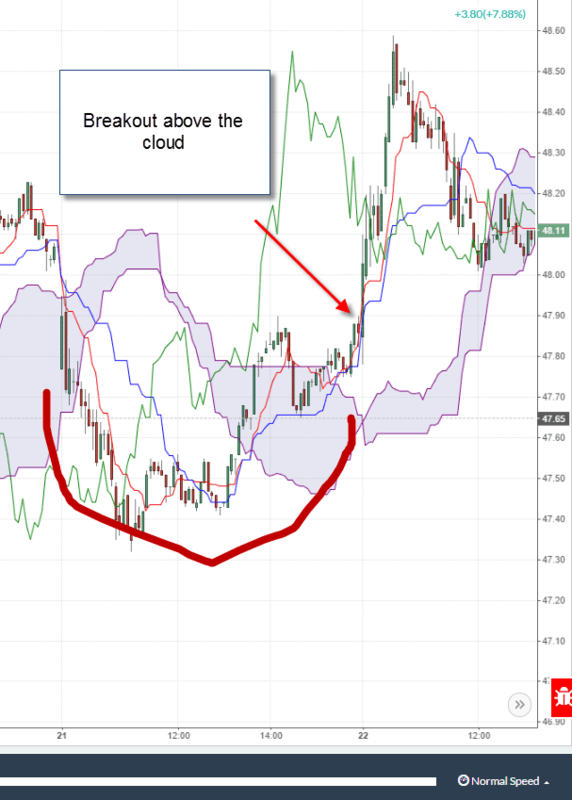 The important item to note is that the right side of the cup cut through the Ichimoku cloud and even made an attempt at trying to move beyond the cloud itself. RHI didn't have enough gas in the tank and fell back into the cloud. Nevertheless, notice how once the handle completed and the stock sky rocketed off, the area around the cloud acted as support prior to the move up. In the market where false signals are readily available, you can essentially use the Ichimoku Cloud to ignore signals, which lack conviction. Trading the cup and handle pattern goes back decades. The problem with the setup is that everyone uses the same approach when determining entry and exit for the formation. Whenever you are looking at chart patterns and setups, try to think of things creatively. Try applying contradictory methodologies or trading indicators to see if you cannot unearth an edge. Remember in this line of work, you just need to be a little bit better than the next trader to make a living.